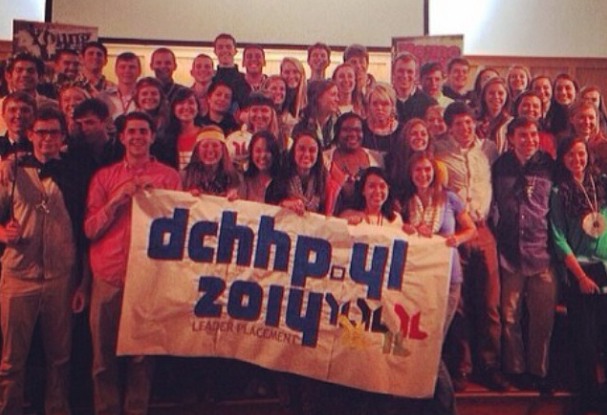 Durham/Chapel Hill placed 50 new leaders this week! In many Young Life areas around the country, it's the exciting time of year when new leaders are getting placed. Our team is fired up because we get new leaders this week!!! We're brainstorming ways to both 'initiate' and introduce them at club. A few leaders from around the country have sent in some ideas and suggestions. If you have ideas to share, please comment below or email me here. Creed Bratton (@BigDaddyDoel) shared this 'Bad Lip Reading' video they made to introduce their new leaders at club. "Order pizza during club the "pizza guy/girl" shows up and decides to stay for club... (it's really your new leader)." "Syrup or Ketchup chugging contest." "We did "Leaders Choice Awards" and it was great! Leader teams announced the "winners" - it was a hit!" "When we got new leaders my first year we forgot to get them a gift, so we went to Walmart and got them 99 cent fish. On the way to the high school, we stopped by a bridge and threw the fish into a lake. We did that throughout the 3 years I was a leader." "Walk through a wall of leadership (pictures of previous leaders), pray over them, then surprise with a fun celebration." "Go with the classic pie to the face. Always classic." How do you 'welcome' new leaders in your area?